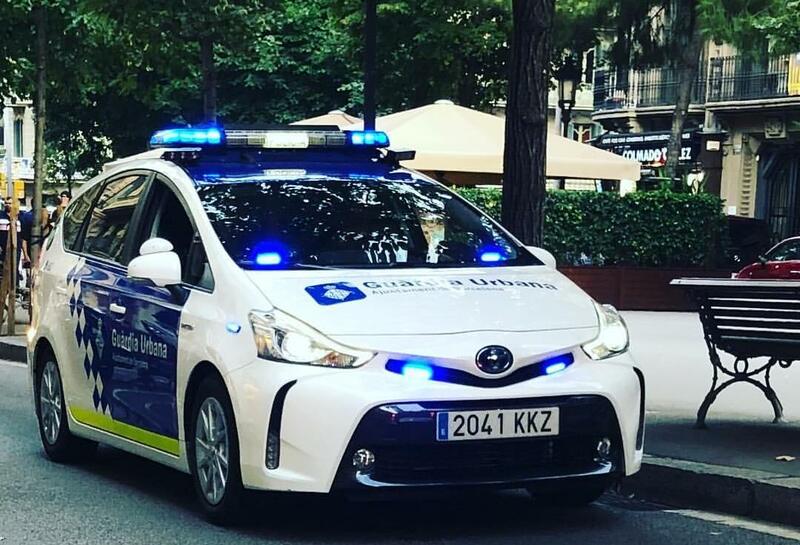 A new surveillance system with cameras incorporated in a dozen new Barcelona Guardia Urbana patrol cars has detected 1449 stolen cars on the city’s streets in just six months. The system, which consists of a registration plate reader that connects in real time to a database, issues a warning if the registration plate has been reported as stolen or if there is any other claim associated with it. Since its implementation last summer, when the hybrid police vehicle fleet was presented, the automatic registration plate detection system has carried out 695,000 registration plate readings, according to municipal sources. As a result of these checks, 1449 cars reported as stolen have been detected, as well as 221 cars with outstanding police requests and 617 marked by the police as prohibited from use and that should not have been in circulation. The new registration plate sensor is installed on the emergency light bar on the roof of the patrol car. There are two readers located on each side of the vehicle. The mechanism works by recording the alphanumeric characters of each registration plate, including cars that are in front of the patrol car, as well as those that are parked on either side of the street. The new police car system can read 40 images per second. In addition, as it incorporates infrared sensors, the readings can be taken at night, in the shade, in tunnels and also in car parks. Another advantage is that it is fully automatic, which means that police officers do not need to do anything in order for it to work. The database with the registration plates used for the search is incorporated in the computer included in the police car. When a suspicious registration plate is detected, the system warns the police officers via the computer screen. According to the city council, this database not only includes stolen cars, updated every 24 hours, but also those that have been seized or marked as prohibited from use by the Municipal Tax Office, those that are of interest to the police due to their involvement in an investigation and those that are entered manually in the program. This registration plate control equipment has many other possibilities, as lists of cars that do not have insurance or that did not pass the MOT test when it was due can be included. It is also possible to add registration plates with the letter that corresponds to the environmental classification of the Directorate General of Traffic, facilitating automatic detection of the cars that cause the most pollution and that are not allowed to travel on ring roads on a specific day, for example.